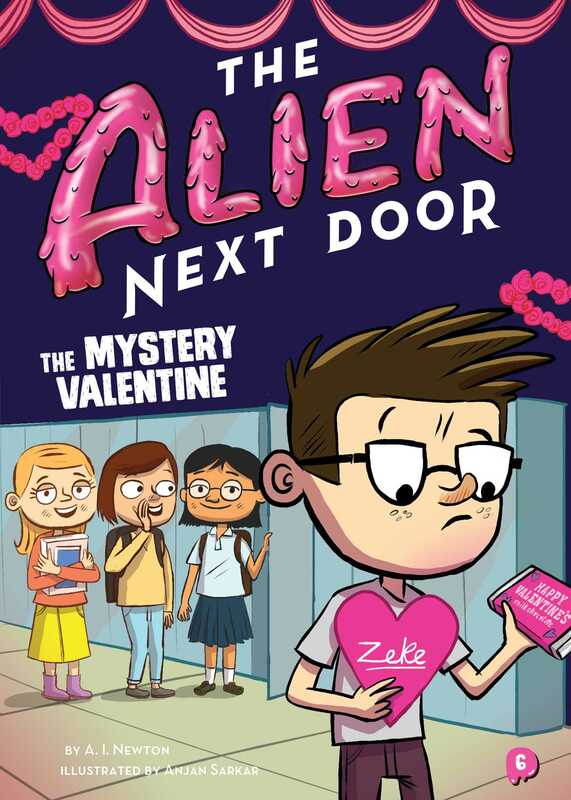 In the sixth book of the Alien Next Door series, Harris explains Valentine's Day to Zeke, and Zeke develops a crush! Valentine's Day is right around the corner, and Harris explains the holiday and its traditions to Zeke. When Zeke gets an anonymous valentine, Harris is excited to help him figure out who sent it, but Zeke is confused at the customs of Earth, and his efforts to get a girl to notice him by doing what Harris tells him to don't go quite right. Will Zeke be able to turn things around and show his valentine his feelings?